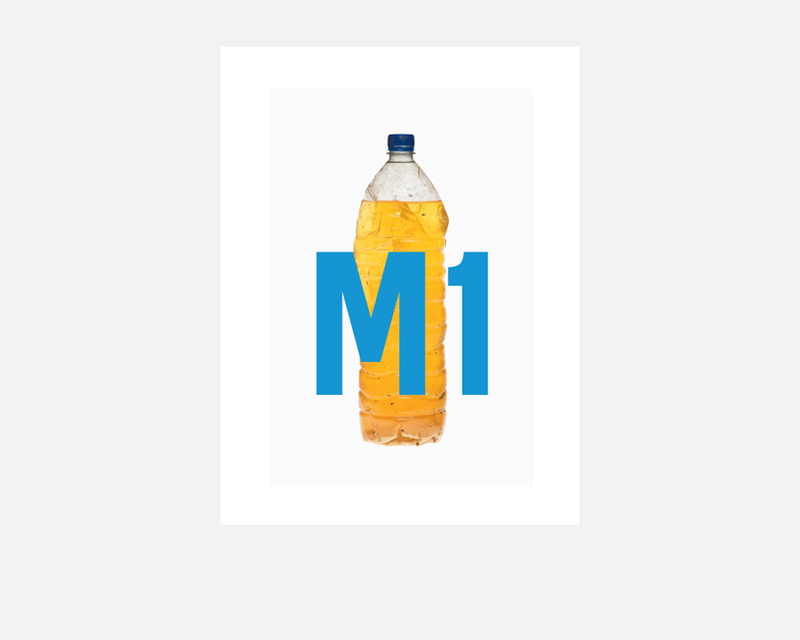 Ricky Adam’s M1 is a deceptively simple documentary project which collects photos of bottles of piss found along the route of the M1. Beyond the voyeuristic pleasure in the anesthetization of abjection, the project catalogues a number of things at once: variations in color and volume of human waste, suggesting the profound and unknowable differences between bodies; variations in branded commercial waste, suggesting the infinite but meaningless differences between disposable plastic commodities; and variations in location, suggesting a situation that criss-crosses the globe, and in which the M1 is metonymic of highways in general. The most difficult thing about M1 has nothing to do with looking at piss: it’s imagining the labor conditions that produced these discarded objects: working time so compressed and rushed that the drivers—simultaneously immobile and constantly moving—must save time at all costs. Adam captures the remnants of this process: these images of garbage attest to the ruthless pace of 21st century exploitation and environmental degradation, but more importantly, they attest to the intimate reality of the bodies who work and live in these conditions. *The M1 is the U.K.’s busiest motorway / freeway.